Every company knows the importance of investing in an accounting system, but the different types of accounting software available aren’t quite as easily understood. And, considering QuickBooks’ decade-plus hold on the industry, you may not be familiar with your options outside of Intuit products. It was no surprise, then, that we jumped at the chance to explore other accounting solutions when Christina S recently asked the Business-Software.com community about an enterprise-level alternative to QuickBooks. More specifically, Christina said she is looking for a solution similar to the Intuit solution that includes stronger customer auditing and reporting capabilities. 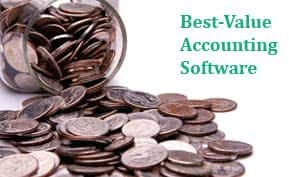 Finding the right accounting solution is a feat in itself – you want just the right balance of features, offered at an attractive price. Throw in a request for a set of more robust functions, and you’re adding a whole new dimension of complication to your search. Lucky for Christina and all of our other readers with similar needs, the accounting software playing field is the largest it’s ever been. This means the odds are high that you’ll find a platform that closely, if not wholly, meets your ideal set of features. Though many small business owners associate QuickBooks (or a comparable platform like Xero) as the go-to solution for their accounting needs, it’s in your best interest to first establish what specific functions you expect to use most and select a solution based on that list. 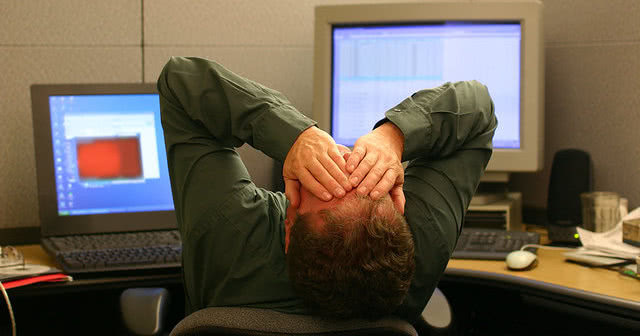 Even if it seems prudent to jerry-rig a basic system to address your company’s accounting needs, the time it takes to reconfigure the software for your purposes will end up costing you. When it comes to particular features such as audit tracking and more comprehensive reporting, it’s almost always necessary to move beyond the realm of SMB-targeted accounting solutions (also known as basic or beginner’s accounting software). QuickBooks and other comparable solutions do offer a great range of functionality for smaller business with more limited financial management requirements. However, it’s less than ideal for companies seeking a platform that enables more thorough financial analysis. An all-inclusive financial management suite will provide modules that let you easily extract and analyze certain data components, whether you’re interested in reviewing revenue, tracking client purchasing behavior or comparing month-over-month performance metrics. Of course, keep in mind that you’ll likely have to allocate more of your budget to an accounting system developed for midsize companies. But, though the upfront costs will be higher, you’ll ultimately save time utilizing a more relevant and streamlined system. Intacct offers one of the most comprehensive accounting solutions on market, with tools to optimize accounting operations and improve visibility of customer actions, among a variety of other capabilities. The software lets you drill down to your desired level of data analysis to examine specified metrics, and you can also take advantage of the ad hoc reporting tool to quickly build your own reports. An all-inclusive accounting program, FinancialForce could be considered the big brother of QuickBooks. The FinancialForce platform offers more extensive functionality than Intuit’s solution, including cash management and a flexible general ledger designed to accommodate and streamline standard as well as specific accounting tasks. Also valuable is the software’s client tracking tools, which allow you to easily view and monitor customer orders and invoices, payments, opportunities and more. If you’re willing to transition to an enterprise-scale product, or might find value in a larger-scale solution with a range of module combinations, NetSuite is worth considering. The company’s flagship ERP solution includes a financial management module with complete audit trail visibility, revenue recognition management, financial planning tools and more. The solution is also ideal if you have limited resources, because as a cloud offering, NetSuite tends to be more affordable than its on-premise enterprise solutions competitors. Looking for more information on QuickBooks alternatives? You can find a more thorough comparison of QuickBooks and other top accounting software programs in our downloadable Top 15 Accounting Software report. In addition to key features and deployment capabilities, our exclusive chart also includes pricing details and select customers to ensure you find the solution that fits your business needs.